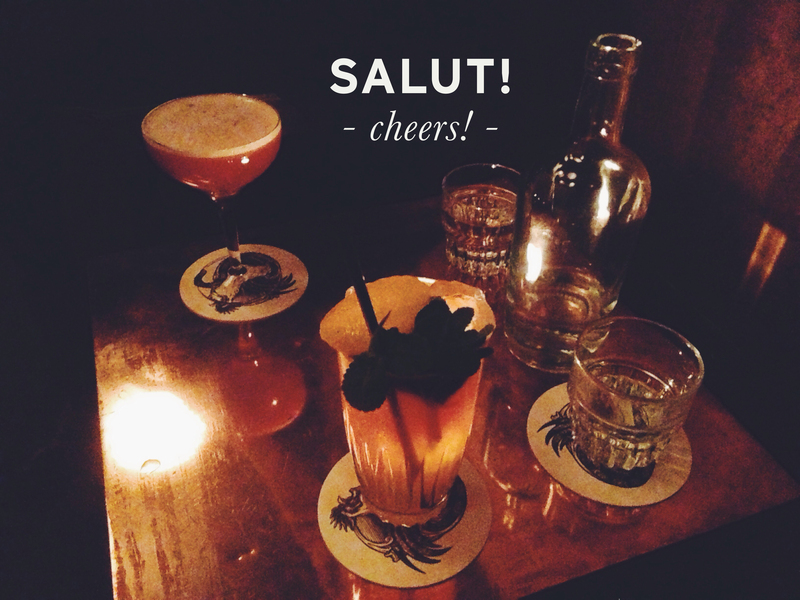 Last night some friends and I checked out Little Red Door, a cocktail bar located in the 3rd arrondissement. This is a bar for the curious as it's entrance is hidden. 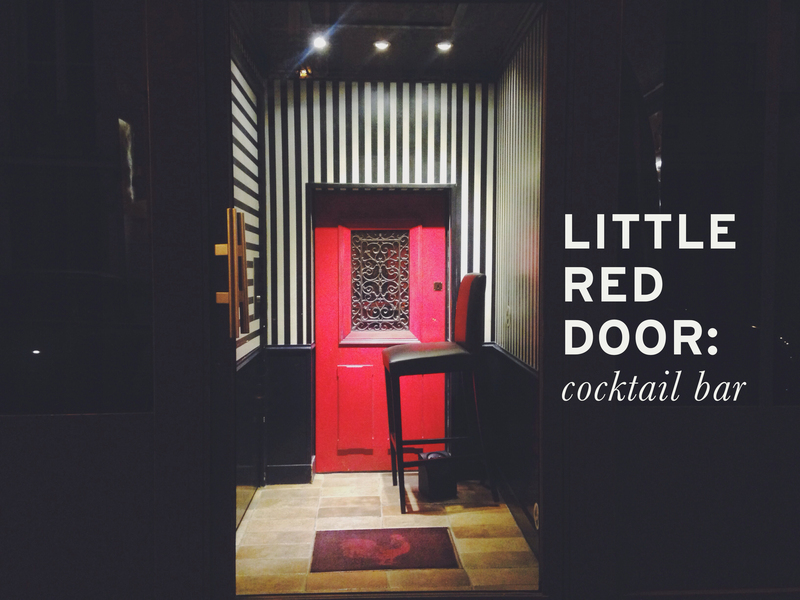 Sure seeing a shiny red door has you thinking it's the obvious way in, but as things go with Speakeasies that is not the case. 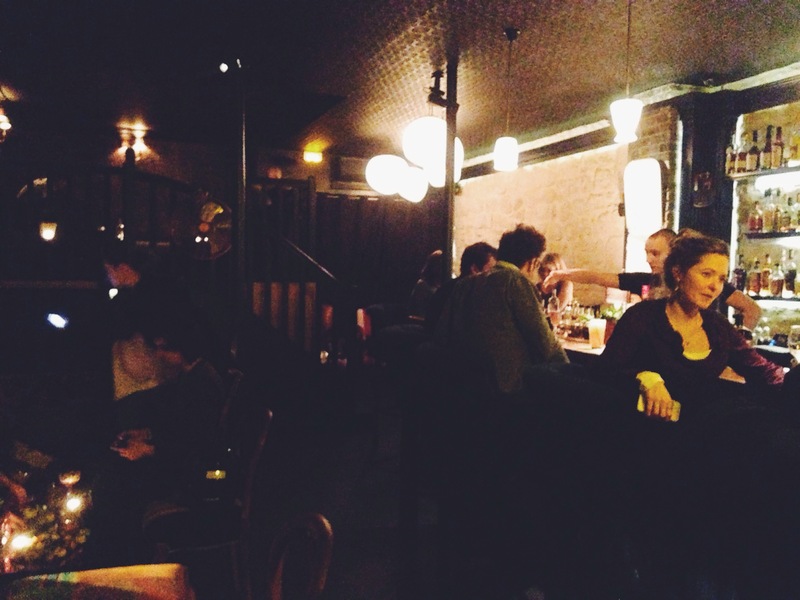 The photo above is the cute parisian entry way. You first walk in the large glass door which places you in the small entryway. It feels as if you're in an Alice in Wonderland scenario as you realize the red door is in fact little. I'm short and I would have to duck through that thing. My friend pushed the door, but it didn't budge. Pushed harder, but still it didn't open. We stood back and wondered if the bar was closed, but we could hear music and glasses clinking so things were definitely happening inside. Our puzzlement quickly ended as curiosity took over and we started pushing on the walls. And low and behold we found the door into the bar! We settled into a cozy corner in big comfy leather chairs. The cocktails were very tasty and experimental. I was starting to wonder if there was something in the drinks, there were various couples all cozied up on couches smooching the night away. The music level isn't too loud, we able to have conversations just fine. The bartenders were very nice and they speak English. Food is served here, we didn't order any but it smelled delish. Cocktail prices run from 13€ - 15€, they also have a massive punch bowl cocktail that serves 6-7 people for 70€.